This month its a double Mummy and Me as its not only me and Lily in the photograph, my mum is in the picture to. 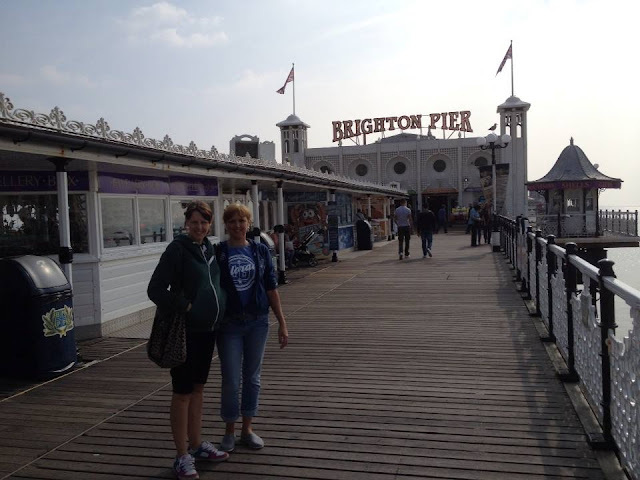 When I was pregnant with Lily me and my mum posted at this exact location in Brighton and last weekend we went back there for a day out and so I decided we should pose at the same place only this time Lily would be out my tummy. I don't get to see my mum often as she lives away from me. So these are pretty special Mummy and Me photographs. Wow you look more like sisters !! Oh wow what a gorgeous couple of photos! 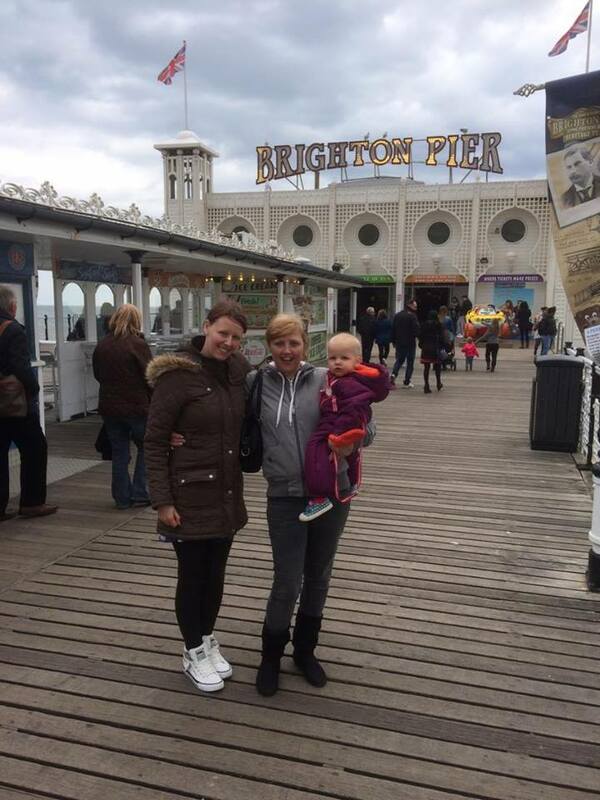 Do you know I don't think I have ever been to Brighton Pier. I love these pictures! I haven't been to Brighton in years, I might have to go back soon! I love Brighton; the community is so vibrant and the culture is so welcoming. It is a fab day out! Lovely photos. I used to have a boyfriend in Brighton and we loved going on the pier. Great portrait. I adore all mummies so cheers to both of you. You both look lovely! Awww bless, you guys look so alike. Three generations.